OPPO F7 rocks a 6.23-inch Super Full Screen with Multitasking features for easier and more convenient access. OPPO F7 looms in the horizon and is set to debut in the Philippines this April. The handset will be the latest addition to the world-famous Selfie Expert series after the successful run of the OPPO F5 series and the OPPO A83. 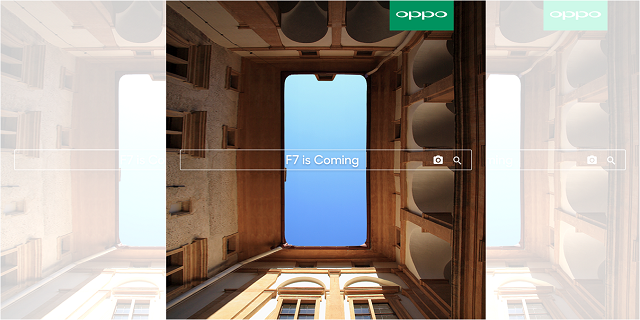 The OPPO F7 is pegged to pack with a 6.23-inch FHD+ Super Full Screen display. Its entry in the local smartphone scene will strengthen the company’s position in the market. The 6.23” Super Full Screen display of the OPPO F7 gives an astonishing 88% screen-to-body ratio. Despite a larger screen, the OPPO F7 still carries a footprint of a 5.5” smartphone, making it easy to carry as it fits just right in your palm. Having a 2280 x 1080 resolution, the F7’s larger screen ensures a more immersive and vivid experience during gaming or simple browsing.